Lyric videos are generally kind of boring. There, I said it. What do most of these videos bring to the table that lyrics in the “About” section on YouTube doesn’t already do? The answer is nothing. That being said, Canadian progressive metal band Protest the Hero released a new lyric video today on AltPress for their new song, “Clarity,” that is completely awesome. While some would probably say that this is more of a music video than a lyric video, both the scenes being played out and the lyrics running across the screen are necessary to fully appreciate what Protest the Hero put together. I’m not going to say much else other than that, because frankly, you just need to watch it for yourself. 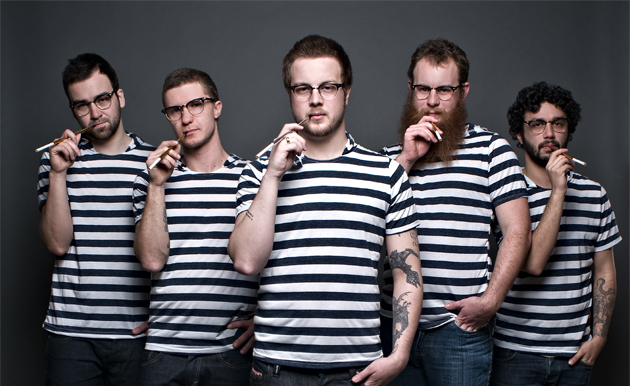 Protest the Hero is releasing their new record, Volition, on October 29. The record will come out on Razor & Tie, which you can pre-order here.